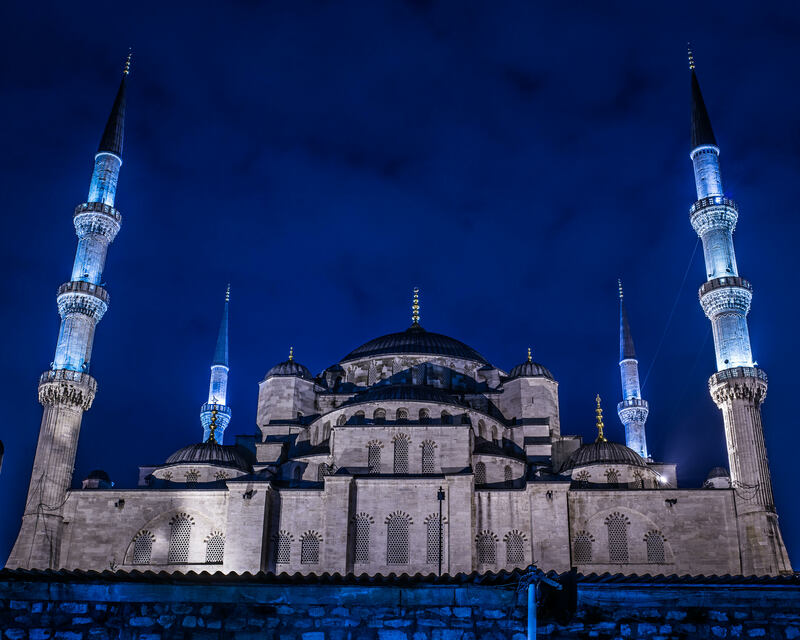 Directions: The Blue Mosque or Sultan Ahmed Mosque is an iconic landmark in Istanbul, Turkey. Found in the Sultanahmet district in Istanbul this beautiful site can be viewed from multiple angles even from a neighboring park. 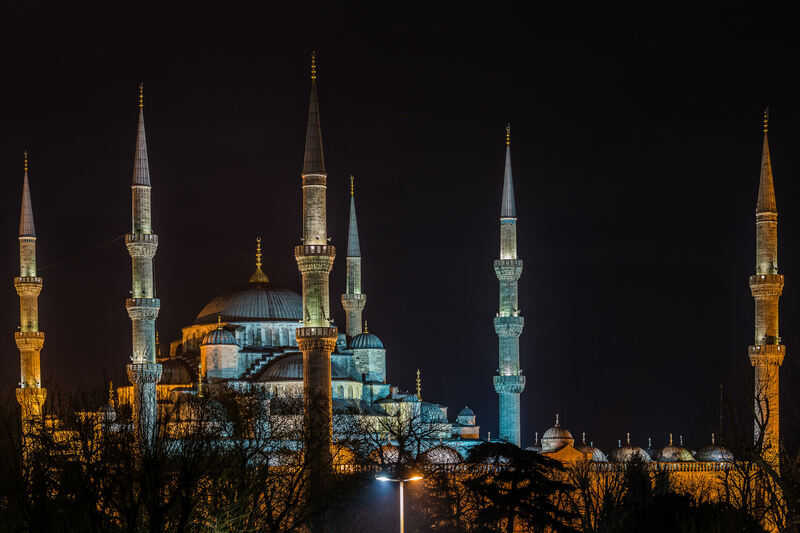 The Blue Mosque is a commonly photographed landmark in Istanbul but the site to me really comes alive at night when many of the crowds have dispersed to their hotels, hostels and homes. While sunset/sunrise will afford you incredible views of the building, I found many other photographers crowding the grounds. 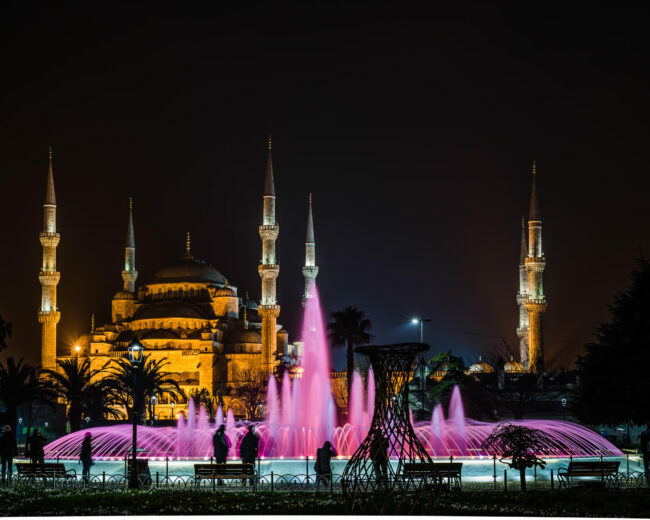 Aside from the advantages of crowd density, wandering at night lets you capture the scene uninterrupted from many angles. Both in post and on scene I played with the white balance to experiment to capture more abstract/creative versions of the mosque. 1. Tripod is a must. 2. Experiment with your location, focal length and angle. 3. Travel/photograph with friends. I am not sure how safe the area is but with that much gear around my neck, I found having companions with me gave me a sense of security especially at night. 4. Use smaller apertures to keep the background spires in focus.